Oh no, Grandpa has woken up in a hospital that is filled with zombies. What are we to do? Kill ’em all, of course. 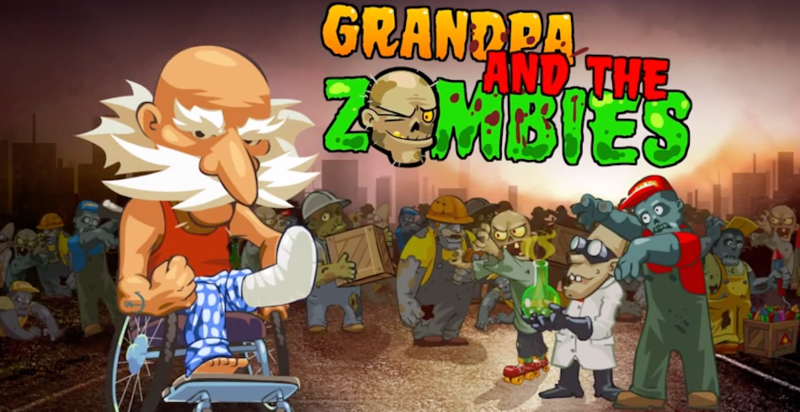 A new game hit Google Play this week, titled Grandpa and the Zombies. In this title, you play as a grandpa that must escape a hospital by completing puzzles and challenges. Each level in the game is a different puzzle, plus there are a ton of different zombies to get through, all with various abilities. The style of the game is very cartoony, so the developers mention that it is suitable for children as well as adults. You can grab it off of Google Play for just $0.99. Do it. Horrible zombies – flee from Halitosis Jack, Bevil and Revil or the Forklift of Death! Insert joke here about there being too many zombie games to keep track of.